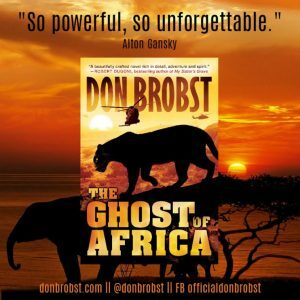 My book, The Ghost of Africa takes place in South Sudan, a war-torn region of the world where lions roam, panthers prey, and venomous snakes abound. That being said, the most dangerous predators are human. 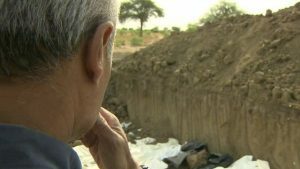 The region where the story begins is known as Matta—a village of mud huts filled with families who struggle for a living each day. In the picture to the left, the village of Matta sits nestled in the African bush surrounded by trees and tall grass that makes up much of the South Sudan landscape. The people of the region are poor, but extremely generous. This is where the true story begins! 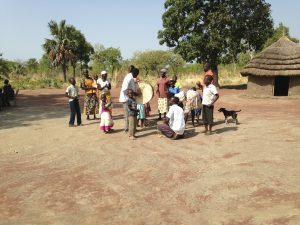 This is the village where Paul Branson begins his medical clinics and cares for a sick child prior to being abducted by the LRA, The Lord’s Resistance Army. No spoilers here, as this happens early in the story, and it is a continual theme throughout not only the storyline, but the deeper message as well. South Sudan, which succeeded from North Sudan (now known as Sudan) in 2011, has struggled for its independence for more than five years. Compared to the North, South Sudan has a small, ill-equipped military with which to battle the forces of Sudan. South Sudan is a region primed for genocide by the LRA, Janjaweed, and president Omar al-Bashir, a tyrant d etermined to destroy the people of the South and Nuba Mountains and Darfur at any cost. From there, Paul is taken to a country nearby that I will cover in a blog later this week, and that is where the action really begins. This is where our hero, Dr. Paul Branson begins his mission. Little does he know what is soon to follow, and what will be required of him—by man and by God.